One of the things I miss the most since learning I was pregnant is licking the bowl! Since I do a lot of baking, you can only imagine how many cookie dough and cake batter covered bowls I have had to leave behind. It's taken a lot of will-power but somehow I have made it 5 months. Finally, I decided to give in to my indulgence! Well, sort of. Instead of licking the dirty, cookie dough covered bowl, I decided I needed to make my own version of edible cookie dough. 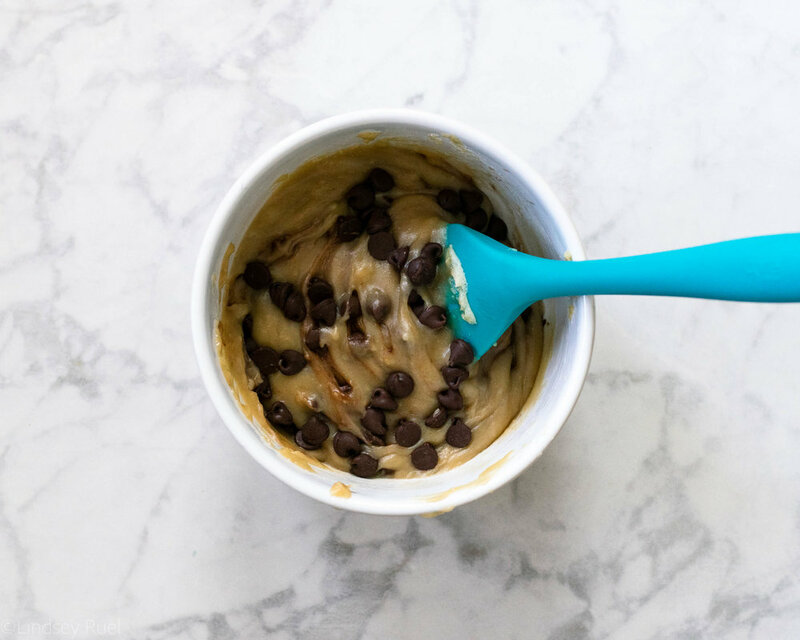 Thus we have the no-bake cookie dough fudge! It's basically like eating little squares of cookie dough, but with absolutely none of the risk! This way I can have the best of both worlds! In a small saucepan, stir together flour and sweetened condensed milk. Place it over medium heat and add in butter. As the butter melts, stir it into the flour. Then add in the brown sugar and vanilla and stir until you have a nice smooth mixture. The purpose of doing this over the stove instead of just in a bowl is two-fold. Raw flour can actually pose a risk of salmonella as well, thus you should always heat it up before adding it into a raw mixture like this. Buy melting all the ingredients together, you ensure that you have a smooth, non-gritty fudge. Let the mixture cool a bit, then add in your chocolate chips. Transfer the fudge to a baking dish and pack down to form a nice smooth surface. Cover the surface with plastic wrap, then let it chill in the fridge for at least an hour. Once it's chilled you can cover it with a layer of chocolate, or you can just cut it up into pieces and serve immediately! And a little goes a long way! I bet that just one little square will be enough to satisfy your craving for cookie dough!